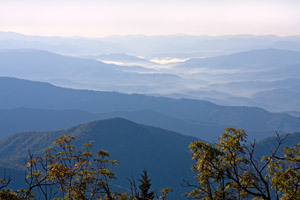 Renowned as the center of the High Country of Western NC, Boone is a charming, lively, picturesque, and healthy town. It’s nestled into the Blue Ridge Mountains and features countless outdoor recreational activities. It’s never a problem or a pain for residents to live, work, and play all right here. Truth be told, people tend to stay, known as “lifers,” but even a high percentage of those who do decide to find a home elsewhere return to where their heart is in a matter of time. Boone has an effect on residents and visitors alike where it remains with you forever. Accordingly, Boone’s real estate market represents an ideal lifestyle, and attracts much interest. Whether you value a distanced, modern subdivision or a friendly neighborhood in town, there is plenty to choose from in all property types. Open acreage, secluded woodlots, mountaintops, and valleys – they all come in an array of sizes, locations, and prices. The school district is notable, health care is great, and community resources are supreme, from the library to the farmers’ market. When it comes to recreation, you can barely miss it if you tried. Every which direction, there are options galore. Ski resorts, shopping outlets, kayaking, hiking, galleries, restaurants, and more are all worthy of your interest. Outdoor enthusiasts especially thrive here in the High Country, where nature is our play yard. Real estate of Boone is amidst highways, not too far from other major regions, and has certainly claimed its spot on the map. If you have any curiosity at all, you’ll be glad you took the time to browse our homes for sale. Spend a few minutes seeing what’s available to catch a glimpse of the opportunities before you. The Mountain Group at Premier Sotheby’s International Realty invites you to read about Boone, and even the other desirable nearby mountain towns. Don’t be surprised if you the introduction doesn’t stop there.